Type in “wedding” to Pinterest and what comes up – hundreds of images of tables with floral garlands, Brides holding beautiful cascading bouquets, seating charts draped with hundreds of flowers, and archways accented with jaw-dropping greenery and floral arrangements. But – do you really need flowers at your wedding? We won’t lie to you – they won’t last forever. Florists take the best possible care steps to ensure their flowers stay beautiful as long as they can, but the inevitable cannot be stopped. But that doesn’t mean they aren’t worth it! Flowers are the finishing touch to your wedding day. You won’t have your flowers forever (unless you preserve them!) but you will have your pictures forever – and what will you see in your pictures – you, your groom, your most important friends and family, and your flowers! Your wedding bouquet is your once in a life time accessory! Okay, so you want to decorate your reception space with lanterns, candles, glass bottles, wooden pieces, etc. That’s great! No one says each table has to be smothered with massive garlands or 4-foot tall vases! However, the space can start to look very rigid with these as the only item in your centrepieces. 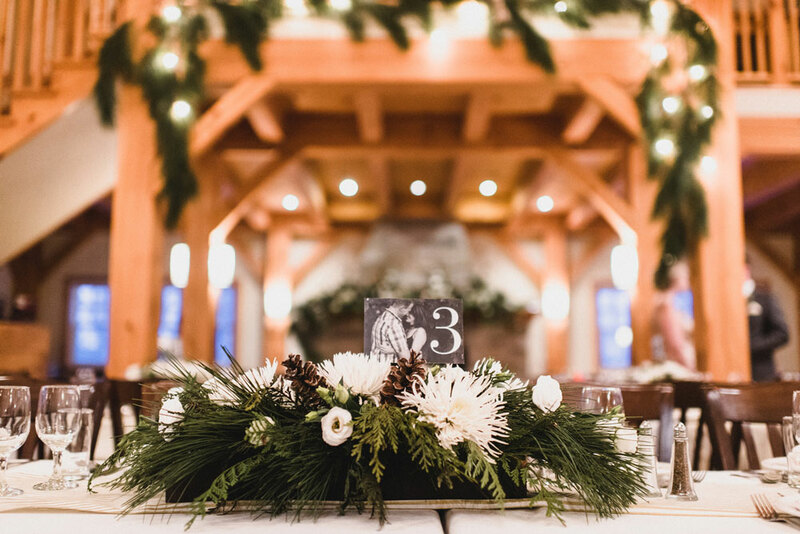 A simple touch of greenery scattered on the table or a few flowers arranged in the base of a lantern can very easily soften your reception space. Plus, studies have shown that people enjoy looking at flowers, because they are a natural element they reduce stress and bring happiness to people. Who doesn’t want happy guests on their wedding day? Yes, some flowers (specialty flowers, especially out-of-season) do cost a lot! And they will easily eat up your entire budget. But if you approach your florist with your floral dream and explain your budget, they can make suggestions for in-season local flowers that will help you create your dream wedding without going over budget. Nearly every flower has a less expensive substitute that will give the same appearance and not sacrifice cost. But if you’re set on a specific flower, arrangements can be made smaller to accommodate the budget. So don’t let money stop you from completing your wedding floral dream. At the end of all the planning, the big day will come and go, and you will have your memories and pictures to look back on. Flowers aren’t just a tradition, they are an integral part of your big day. You and your partner have a one-of-a-kind love story, your flowers should be one-of-a-kind too!